Travertine is a natural stone such as marble, granite, onyx, Limestone, Slate etc. The key difference between travertine and other natural stones lies in the formation of the rock, the hardness of the stone and the appearance. Travertine if formed in hot springs and/or limestone caves. Travertine is not the same as marble or limestone which falls in the metamorphic rock category. Key characteristics of travertine stone are the holes within the stone which are caused by carbon dioxide evasion. Limestone is an organic, sedimentary rock. This means it was formed from the remains of tiny shells and micro-skeletons deposited on the sea bed. They were compressed to form solid rock. Limestone is made up of calcium carbonate and reacts with diluted hydrochloric acid. Limestone is formed in layers – called bedding planes. These bedding planes contain vertical cracks called joints. Joints and bedding planes make the rock permeable. Special attention needs to be placed on care and maintenance – this is a consideration that cannot be ignored. 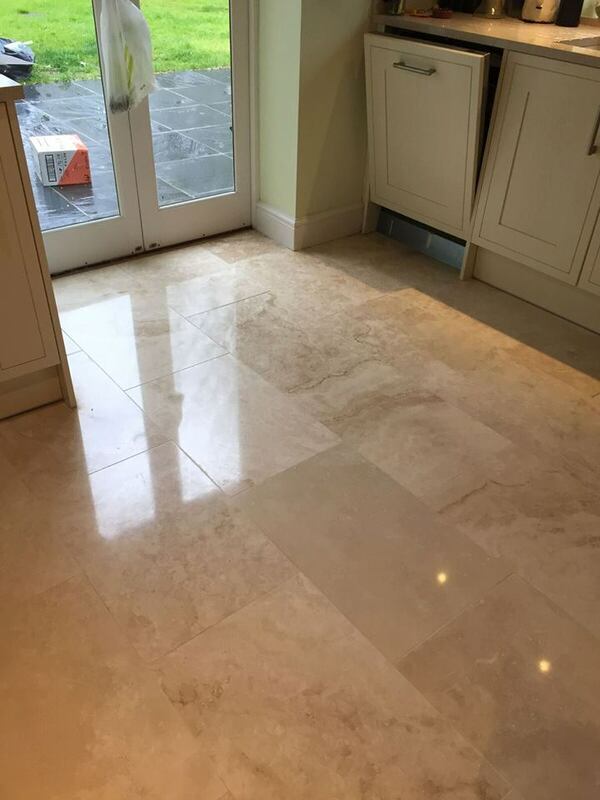 Being a stone, travertine/limestone is more hard-wearing then most floor materials but it is still susceptible to damage if not treated correctly. Running a vacuum cleaner or broom over the floor will minimise the build up of sand particles and grit, which when combined with people walking on the surface can damage and scrape the pits. Most people believe that running a damp mop over their travertine/limestone floor is ok, but in actual fact this can tend to leave residues on the surface. The mop needs to be cleaned an dried out frequently and when finished rinse the surface with clean water. In the event that water marks develop; buff the floor with a dry tea towel. Acid based liquids such as wine and fruit juices rich in vitamin C can score the travertine/limestone’s surface if left to stand after spilling. In such an instance rub the area with fine grade emery paper and then have it resealed. This stone is also a favourite for fireplaces, table tops and counters – combining these with the flooring creates a beautiful elegant environment. Call us today on 01954 211752 if you require Travertine or Limestone floor cleaning in any of the following areas & surrounding villages, Cambridge, Newmarket, Ely, Royston, Peterborough, Huntingdon, Saffron Walden. 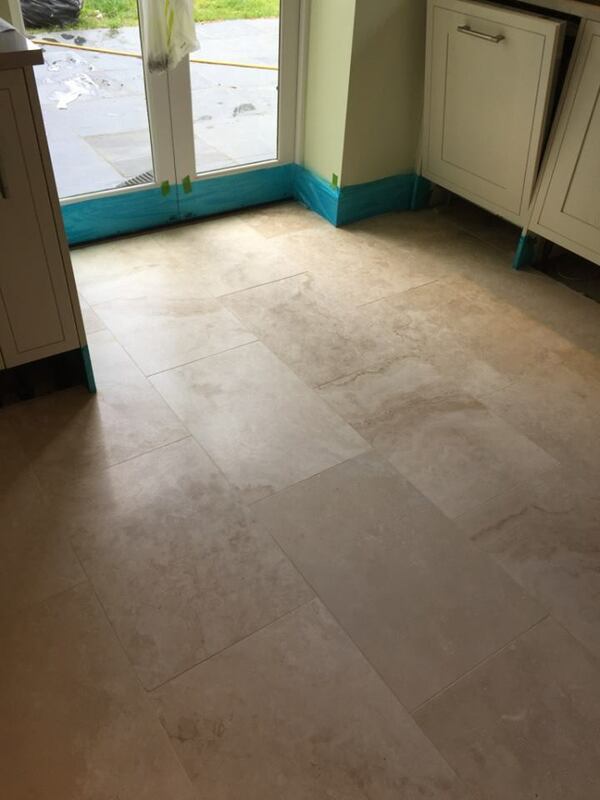 Travertine Kitchen Restoration/Clean in Newmarket, Suffolk. Portland Stone (Limestone) Restoration in Regent St, Cambridge.